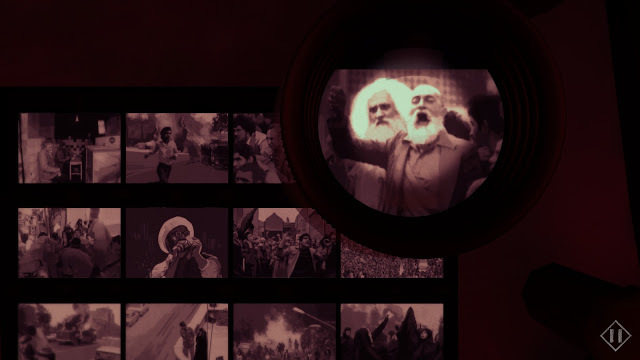 iNK Stories has, in 1979 Revolution: Black Friday, created a narrative exploration of the Iranian Revolution in 1979, which provides insight on the events that transpired by giving players the opportunity to live through them. And it is such an important game. Everyone should play it. The Shah of Iran was deposed in 1979, and the constitutional monarchy was replaced with a new government, the Islamic Republic of Iran. This government was led by the Grand Ayatollah Khomeini, and the institution of sharia law changed the fabric of Iranian society. It is the events leading up to the revolution itself that are the focal point of the game created by iNK Stories, and it is through the eyes of main character Reza Shirazi that the events are experienced. 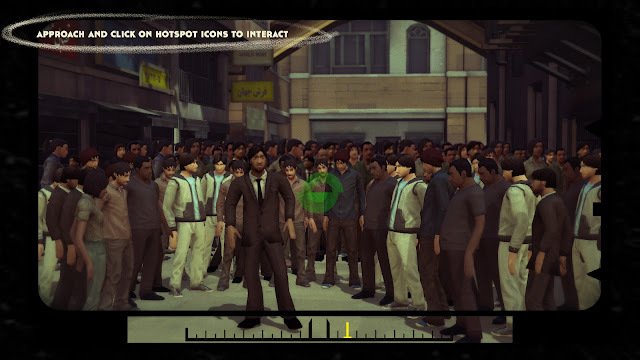 The game opens with Shirazi inside a safehouse in Tehran, some time after the revolution has taken place. 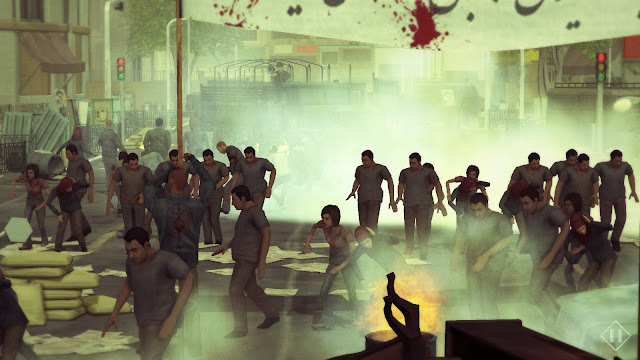 From this very first chapter, it becomes clear that the game intends to mix tension with a frantic pace, and that while its mechanics may owe their style to Telltale games, the weight of choices and their ensuing repercussions gain additional credibility due to the historical nature of the game. 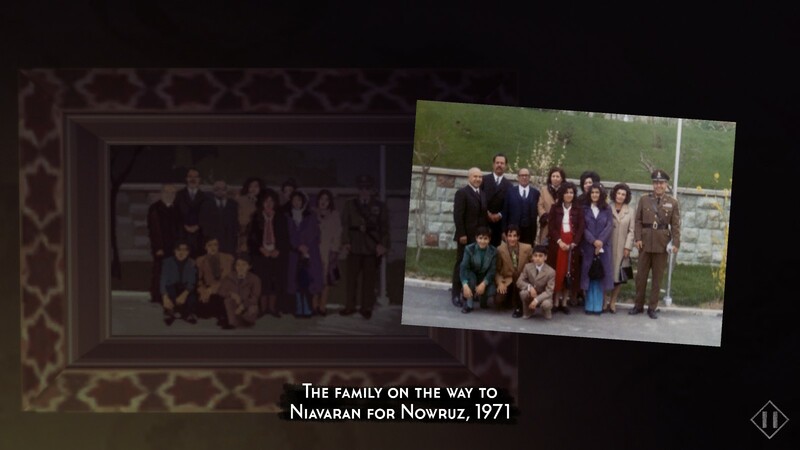 As a choice-driven narrative, 1979 Revolution moves back and forth between Reza’s interrogation in Evin Prison at the hands of its warden, and his experiences with the various anti-royalist factions prior to September 8, 1978, the eponymous Black Friday referred to in the title. It uses a series of nineteen chapters to explore the events achronologically, with some chapters comprising of a scene or two, and others much more open and exploratory. iNK Stories uses a background of otherness with Shirazi, a photographer who has recently returned to Iran after spending time abroad in Germany, to allow characters to explain circumstances, or refer to events that might otherwise be assumed knowledge for a person that had lived in Iran at the time. 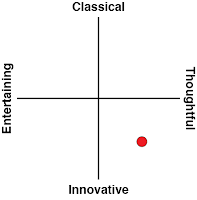 There are additional cues that are conveyed through an information catalogue referred to as stories, for areas where Reza may have knowledge yet the player may not. From the first moments with the warden Asadollah Lajevardi, based upon the historical person who ran the prison, the player is offered tea and given the choice of whether to accept it, or to refuse. A notification indicates that a Story has been unlocked. These stories provide information about cultural practices as with tea, that tell about food or daily life, art and religion. Additional stories for events that took place, speeches given by historical figures or news reports can also be found here as they are unlocked. It is left open to the player, with the discretion around whether to engage with these pieces of information or not in their hands. As it proceeds, the time to choose a response matches the frantic pace set in the first chapter, and applies to all except the binary choices - such as whether to accept or refuse the tea. It is after this scene that the game first shifts back to events before the revolution, as crowds gather in protest against the Shah and Shirazi’s photography becomes relevant. Photography is incorporated into the gameplay here and throughout the game, with the quality of the photos taken dependent on whether it the view is in focus when the player takes it. 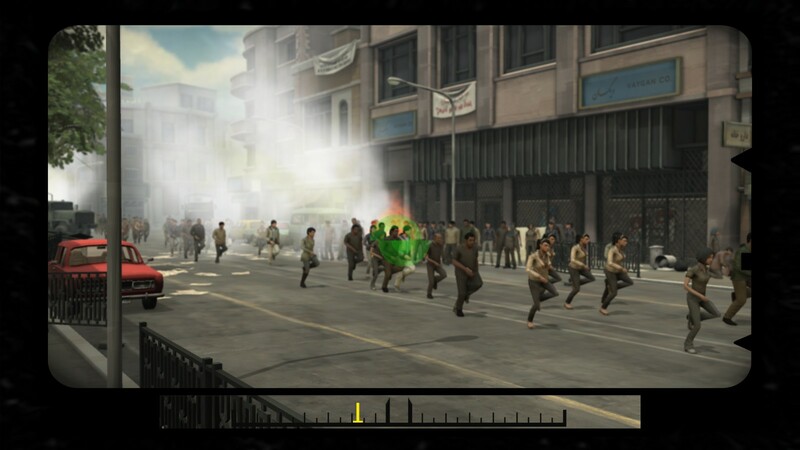 Each photo taken by the player is shown alongside a real-world counterpart that was taken during the revolution, along with context relevant to the subject matter, in the same style as the stories feature. 1979 Revolution is unique in its qualities. While it carries the gameplay style and framing of other games, and conveys the morality and impact of treasured narratives that put the actions of the player under the spotlight, the queasy feeling it carries comes from it being history, of a view of pre-revolution life bereft of rose-tinted nostalgia, and rather than a moral conundrum created by an accomplished writer, it is what the world wrought. The game uses the history surrounding the revolution as a means to convey understanding to the player. It provides historic, social and cultural context to supplement the atmosphere around the events, so that what happened is not seen only in isolation, but as part as the wider political climate in Iran at the time. Even in its address of the complexities surrounding the events, and the acknowledgement that the range of attitudes against the Shah’s rule came from constitutionalists, communists as well as the Islamic jurists, the game raises the 1953 coup d'état as a contributing factor to the Iranian revolution - an event that laid out the pieces on the board, if not directly responsible for what happened. Instead of trivialising how the events unfolded, it also points to other contributing factors that added to the complexity of the political climate, including censorship instituted under the Shah, the actions of the SAVAK (secret police and intelligence), the terrorist arson attack at the Cinema Rex, the speeches of Ayatollah Khomeini against the Shah, and the inexperience of the soldiers who were deployed. It does not fawn over or romanticise the rule of the Shah, and presents ideas without the application of judgement. As Reza Shirazi, the player is there in Tehran at pivotal moments, with friends and family spread across the tapestry of those affected - an ex-revolutionary father, a brother in the secret police, a cousin in the Iranian Muhjadeen, and a best friend supporting peaceful resistance. These events not only reshaped a country, but crossed over families. 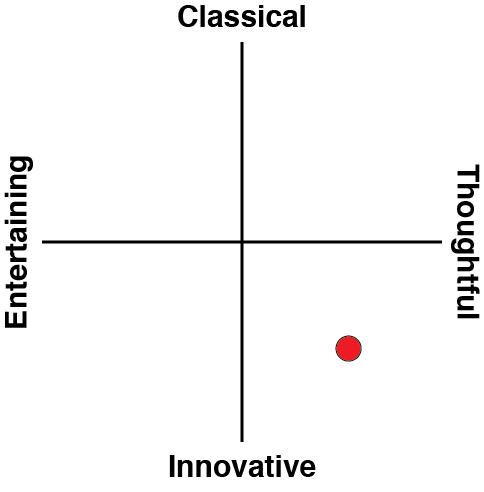 The characters of the game are complicated, and given voice by an accomplished cast. This is also manifested in the mixture of English and Farsi used in dialogue, the ability to listen to news announcements in either, or the anecdotes told by Shirazi while looking at old home movies, which can only be assumed real home movies of those that contributed to the game, which in turn makes their presence poignant. These snippets of life, the time taken for the stories around food, t’aarof, music, all help to set Iran as a place distinct from preconceived notions of what it is or was. The music of the 1979 Revolution is also noteworthy, as although it is a constant presence, it contributes more to the tension of the game than the quick-time events, and ultimately strengthens their implementation. From the game it becomes clear that while the revolution continued to gain momentum and the voices against the Shah became louder and more numerous, the events that took place on Black Friday greatly influenced the path that it took from that point on. 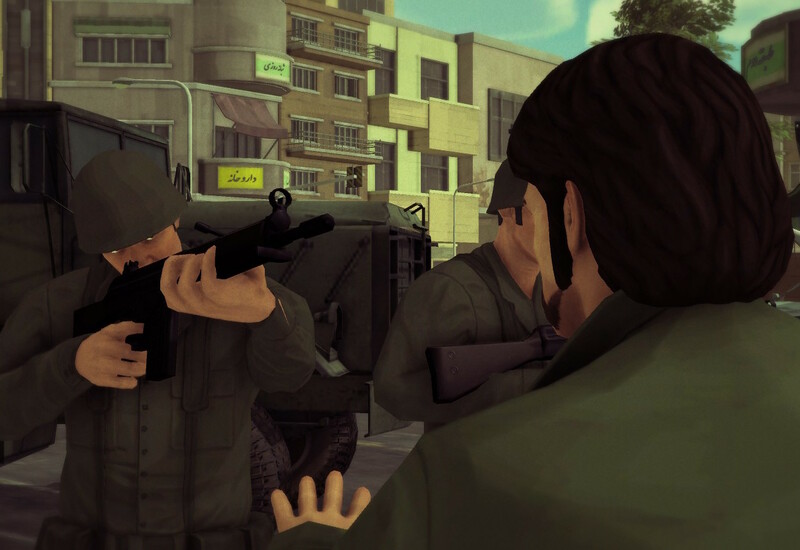 Aside from an understanding of the history and context, 1979 Revolution provides players with the means to examine their own beliefs regarding revolutions, protests, resistance to oppression, violence and peace. It’s the choices made that ultimately affect the experience, though it’s the finer details that are fluid, not the broad strokes of what took place. The development team at iNK Stories is comprised of many that were born in Iran and that have left, and that have intimate understanding of the gravity surrounding the subject matter. There were also other contributors to the game that have been credited anonymously, for reasons of safety. If that seems like hyperbole to those in the west or if there are doubts about how political and therefore controversial this game may be, it’s indicative that the game is banned in Iran. The game industry is in the process of growing, and the extent of companies using game fundamentals to educate and improve lives is increasing. 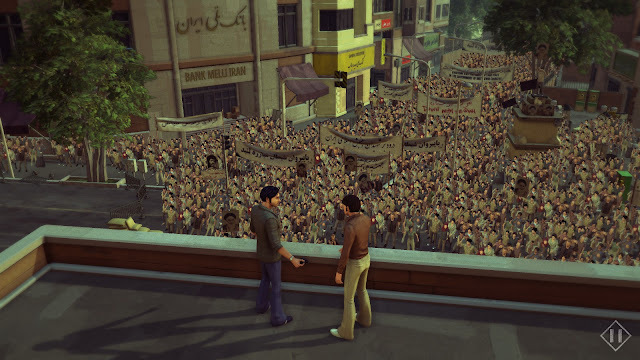 What iNK Stories has created with 1979 Revolution: Black Friday is a highly effective and extremely significant entry in terms of what games can be, and what they can do. At between two-to-three hours, it may be a short game, yet every moment is charged with potency. For someone that wishes to learn about the 1979 Revolution, or Iran in general, this game will provide a cursory understanding that could supplement further reading. Taken on its own, this may be one of the most important games created in terms of historical significance, and in blending life events, narrative and cultural immersion, captures the essential truth of the human experience.